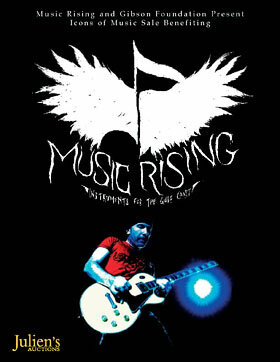 Tickets to be sold with 100% of the proceeds benefiting Music Rising. Limited seating available. We appreciate the dedication and interest in the U2 community regarding the Edge’s items in the upcoming Music Rising Icons of Music II auction. 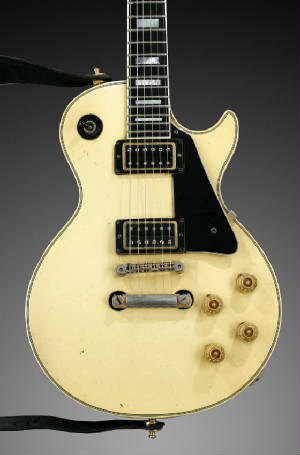 Regarding confusion over the serial number, Gibson serial numbers pre-1977 serial numbers varied greatly. 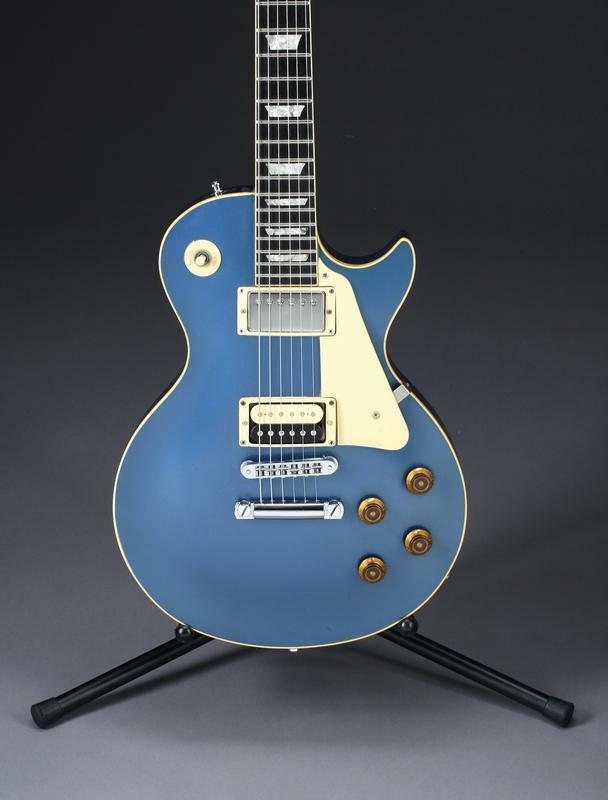 Many strategies were employed before the development of the system employed by Gibson today. 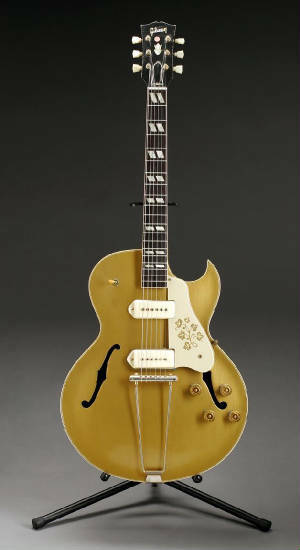 “During the period from 1975-1977 Gibson used a transfer that had eight digit numbers, the first two indicate the year, 99=1975, 00=1976 and 06=1977, the following six digits are in the 100000 to 200000 range. MADE IN USA were also included on the transfer and some models had LIMITED EDITION also applied. A few bolt on neck instruments had a date ink stamped on the heel area. 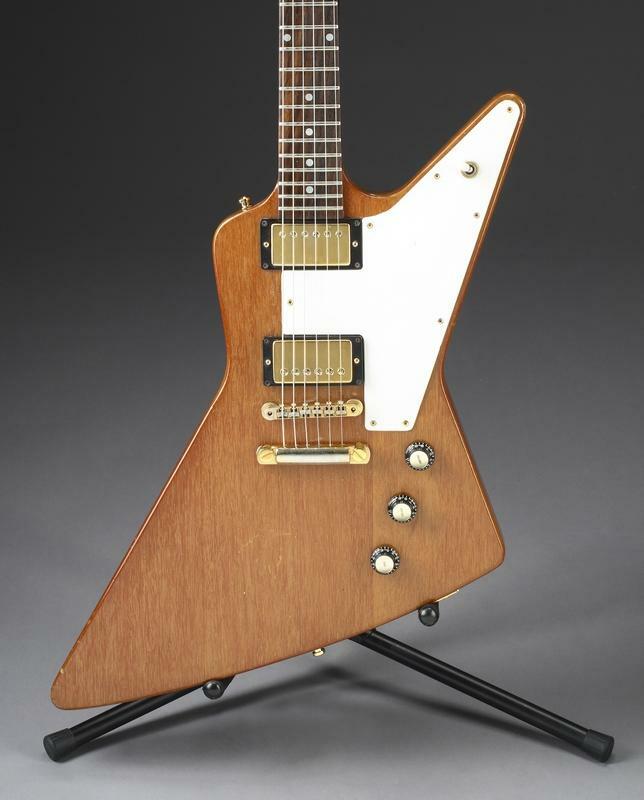 You can see why many would contend that this guitar’s serial number indicates that it was made in the year 2000. The idiosyncrasies of the serial numbers can cause confusion that we hope to have cleared up. Thank you - and happy bidding!